Meet Dawn Dickson, a Woman to Watch! If you’ve been looking for a few success secrets for start ups, business tips for aspiring boss babes or a word of encouragement, you’re sure to get it from our interview with Dawn Dickson! 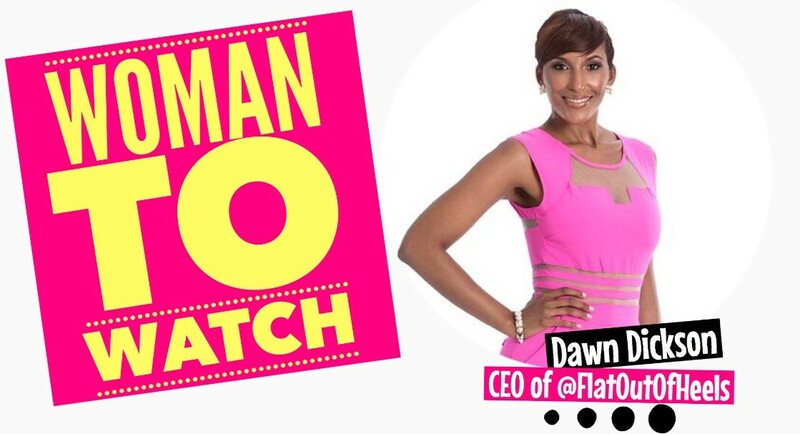 Dawn is the CEO of FlatOutOfHeels which is an innovative start up that creates stylish, rollable flats that conveniently fit in your purse. Well, if that isn’t bossy enough– Dawn also created a shoe vending machine that dispenses the rollable flats on the go. Koe: Share one life (not business) lesson for aspiring werking women. way possible. Take time DAILY to meditate, pray, and focus on your spiritually. most importantly stay in tune with your mental health. Dawn:We are all source energy in a physical body, everything comes from the source (spirit/soul) within you, listen to it, follow it, and give it the highest honor and success will follow. When you are not in tune with your spirituality and inner self there is a disconnect and there will be suffering. When you are tuned in, tapped in, turned on to your inner self the path to success is laid before you and all you have to do is have faith and patience. It takes many nights to be an overnight success so your spirituality will be what gets you through those long nights and tough times. Dawn: I celebrate my success by helping others, sharing the knowledge I acquire gives me great joy. I believe we can all win. I also celebrate through gratitude / giving God and myself the highest honor. Treating myself to things I love and giving myself time away from work. Dawn: I relate most to Pray because prayer makes werk and slay possible. It all starts from within. When I strengthened my faith, put all trust in God, and learned to be obedient (even when I don’t want to) life became so much easier. The more I pray The less I work, the more I slay. Connect with Dawn on social media @DawnWDickson and cheer her on as she continues to take over the world, one rollable flat at a time!